Here’s an interesting column by Cory Doctorow from Locus Online. When libraries want to buy an e-book from the publisher, they find themselves paying as much as five times the price you or I pay for the same book. Literally – librarians are paying $60-80, and sometimes more, to include current release frontlist titles in their collections. 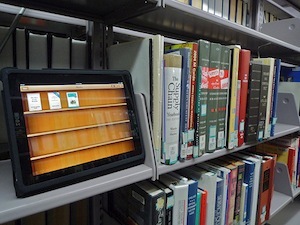 Each of these e-books can only be lent to one patron at a time, which means that libraries are sometimes buying a dozen – or more – of these overpriced text-files. I wonder how this compares in practice to what libraries pay for physical books. Have publishers been able to price discriminate in this manner with physical books? I know movie studios used to price discriminate with movie rental chains (anyone remember Blockbuster? ), but I think that was enabled by the early release of the DVD (VHS tape!!) to the rental chains. I also wonder how far this pricing differential extends beyond “frontlist titles.” We all know how utterly dependent publishers have become (made themselves) on the sales of just a few of their biggest sellers. If publishers are just jacking up the prices for the biggest bestsellers at release, then that may be a different story than if they are doing it for large swaths of their offerings. There’s a good case to be made for libraries getting discounts on e-books, rather than paying premiums. For one thing, they’re excellent customers and they make bulk-buys. For another, the e-books that libraries buy stay in their collection forever, unlike print books. When a library downsizes its stock of last-year’s print bestseller, it puts most of its copies in its booksale for a nominal sum, a dollar or two, and often those books end up in the used-book stream, being sold alongside the new books on Amazon at steep discounts, competing for readers’ dollars. But e-books can’t be sold in the booksale. They don’t ever end up competing with new books – and they never generate revenue for libraries as used books. That is, even when priced at par, e-books make more money for publishers and less money for libraries. I think these are valid points, but they may be incomplete or overstated. As Doctorow points out, an eBook owned by a library would not compete with a publisher’s books in the used market, since the eBook cannot be sold as library excess (deaccession). However, it perhaps is not entirely accurate to say that eBooks “don’t ever end up competing with new books.” Certainly, they don’t end up being sold side-by-side with new books. But I think you could make the argument that library eBooks compete with new books when a library patron decides to check-out the library eBook instead of purchasing a new book from the publisher. As a part of arguing that their deal is “raw”, he also takes on the idea that libraries can only lend an eBook 26 times (at least with Harper Collins titles). He points out that it is a bit ridiculous to think that this is somehow equivalent to a physical book breaking down. Doctorow asks if Harper Collins is really saying that their books are of such poor quality that they can only be read 26 times before they disintegrate. I’m not sure that is the right question. Checking a book out, transporting home, reading it, transporting it back to the library, and then dumping it in a return drop box may present a little more wear and tear than simply reading the book. In any event, it would seem that libraries would have a pretty good feel, if not actual data, on how long physical books in heavy circulation survived. What is the average for popular books? Further, when considering how good or raw of a deal libraries are getting with Harper Collins’ restrictions, we should also factor in the differences eBooks have when compared to physical books. If it takes less effort to check out an eBook (going online) than a physical book (driving to library), then that would need to be factored into the “raw deal” calculus. If it is indeed much easier (less friction), then that would mean that library eBooks would present more competition for the sale of new books, which would in turn help justify things like a higher price and lending limits. Library e-book circulation data is a source of potentially priceless, actionable business intelligence for the publishers, if they can stop focusing on gouging libraries on price and focus on cooperating with them instead. Libraries could provide publishers with daily circulation figures, broken down by city, for every book, along with correlations between books (‘‘this book was checked out with that book’’). Provided the data is sufficiently aggregated, it would not pose a risk to individual patron privacy. This has to be managed carefully, of course, but if there’s one group that can be relied upon to treat this issue with the care it is due, it’s librarians. This seems like a potentially great deal for publishers. One of the problems big publishers have (IMHO) is that they have no connection with and thus no knowledge of their ultimate customers, the readers. Big publishers only know (and sell to) book buyers working for bookstores. For eBooks, Amazon, Kobo and other retailers (and not the big publishers) know the readers. Here is an opportunity for publishers to begin to correct what is a huge problem for them – and it is a potentially workable solution for them because the publishers are not in competition with libraries (unlike the situation with Amazon). I wonder if there is a corollary here to the problems associated with independents and small presses trying to get into regular distribution channels. Could small press books or even self-published books become part of library eBook collections? Especially if it were done as a promotional effort on the part of the small/indie publisher. With physical books, libraries must be very particular with what books they add to their collection. Space is at a premium. Presumably, space problems are much, much less of a problem with eBooks. I am sure that the “slush pile” problem is still a hurdle that would have to be overcome. Libraries would probably not want to have to make their own judgments on every interested small/indie publisher, and they likely would not want to simply make everything available. But perhaps, with a series of books that have respectable sales, a system could be created for libraries to get eBooks of the first book. I also don’t know if libraries would be interested in having just the first in a series. It seems like a customer service problem, or like something that would conflict with what they perceive as their mission. Maybe an entire series from an author with multiple series or a stand-alone book from an author with multiple books would cause less conflict. Regardless of the end details, both libraries and small and indie publishers could benefit from finding a way to make something work. Not to mention the benefit to readers.